If you want to be happy we can make you smile. No More Worries for SUDDEN SNOW!! Also Attachable to LEATHER SHOES and HIGH HEELS!! Spikes you can attach conveniently to your shoes when walking on slippery roads. Suited for walking on snowy, frozen roads, sandy roads and grassy fields. Attach it to your everyday shoes with a simple 3 steps!! 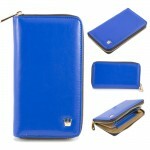 For unexpected situations and daily outings! [Point1] You can still walk naturally!! The parts aside from the spike are made of rubber, light and pleasant! It attaches to your everyday shoes so you would still be able to walk naturally with no discomfort. 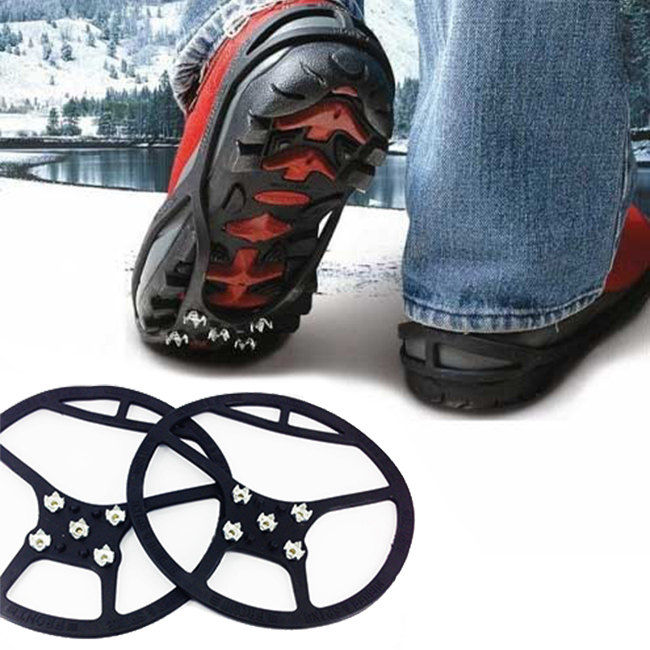 5 spike pins latches onto snow and ice firmly, helping you to walk steadily. [Point2] Suits all sorts of shoes! A rubber type that suits almost all kinds of shoes. Just 3 steps for firm attachment. All that’s done is attaching a piece a rubber–don’t worry about others noticing! Similarly shaped for the left and right–you also won’t need to worry about putting them on the wrong sides when hurrying out! Easily attached to sneakers and also men’s leather shoes, women’s pumps and high heels!! ※It is possible for the product no being able to attach to shoes that are designed extremely wide or narrow, or those with high toe boxes. It returns to a circular shape when removed from your shoes, making it easy to store in cars and bags. Recommended for unexpected situations, travel and outings! © 2012 - 2019 EOO+SHOP Feng Shui International Group. All rights reserved.